Is your business looking to increase your website traffic, drive more qualified leads, and increase sales? If so, then your business needs to grow your business blogging efforts. Whether you are a startup or an established community business, your company can benefit from the inbound marketing strategy that includes an active business blog. Maintaining high-quality, consistent, and relevant content on your business blog will help you build your online presence and market your business to your target audience. Your competition is working as hard as they can to put you out of business. If you are not utilizing every tool at your disposal to attract and retain customers, then your business will fail. A professional business blog is an essential part of any marketing strategy because it develops a place for you to connect with your customers and prospects. Quality content also allows you to add perceived value to your brand because you can your audience insight on topics they are concerned about. Your business blog provides you with a free way to reach your audience. While maintaining a business blog can be a time-consuming and arduous task, a business blog is an essential part of your digital marketing strategy. Once you build user personas and understand your customers, you can research your competition to see where there are potential gaps in the market. A Content Gap Analysis can help your business identify topics that your audience is looking for, and with some keyword research, your business will be able to attract qualified leads to your business blog through organic traffic. If your business wants to increase conversions and increase sales, then you need to get qualified leads to your site. Instead of relying solely on Pay Per Click advertising, your company can create organic traffic with a business blogging strategy. Every time you publish a post on your company blog, that page will be indexed on your website. Search engines like Google are constantly crawling the Internet to find fresh content and your blog posts are signals to Google that your site is active. As you publish more content on a regular basis, the authority of your business blog will increase in the eyes of Google and other search engines. As a result, your website will appear more often in search results, which could lead to more traffic to your site. Unlike traditional product pages, you can use your business blog posts as a way to show the personality and culture of your company. People like to buy from companies they can connect with, so your company needs to craft online content that humanizes your business and builds an emotional connection. Blogging gives your company a way to address issues that your customers are concerned about. As you provide answers to questions your prospects are asking, you can share what you and your business are passionate about. Business blog posts offer a unique opportunity for your company to build a voice and personality to share quality content with your customers. In turn, your brand will be seen as more likable and approachable. A business blog is one of the strongest ways for your company to establish you as an authority in your field. Blogging about topics that your customers are searching for increases your exposure and allows your customers to find your brand based on the industry-related information. As you build up your authority, your prospects will come to trust your opinion and familiarity in your area of interest. As you continue to establish yourself as an expert in your niche, you will be top-of-mind when your customers are ready to buy. Your business blog helps increase conversions because your prospects will trust you through educational material. Since your customers are familiar with your brand through your company blog posts, you will have a competitive advantage that will help you close more sales and retain more clients. It’s not easy for your business to maintain an active social media presence. One of the secrets to a strong social media strategy is to have high-quality business blog content you can offer compelling content across your social media networks. As you publish valuable blog posts, your business will have an opportunity to direct qualified leads from social media to your website. You can also use evergreen blog content to ensure that your business will always have relevant content to share with your online followers. Along with providing highly relevant, topical information for social media, your blog posts also provide great content for email newsletters and PR publications. By repurposing your blog content, your business can make your business blog into a valuable asset to drive your content marketing strategy. Blogging gives your company the opportunity to drive not only short-term sales but also develop long-term relationships with your community. Sharing relevant content that your customers are interested in will help your brand connect with your clients, and if you publish valuable content, then your clients will join in on the discussion and offer their perspective. While earning the respect of your customers to the point that they will give feedback on your blog posts is difficult, your business will reap great rewards once you reach this point. This is because you will know what content is desired and you could also receive valuable insight on the needs and perspective of your customers. Using the qualitative information you gather through comments, your business can shape the voice and approach in how you address industry topics. Learning what your customers think is marketing gold, and you can use dialogue to ask further questions and optimize your products and services. Blogging is one of the best ways for your business to differentiate you from your competition. Not only can you establish yourself as an authority in your market, but you can also humanize your brand and educate your customers on topics they care about. It’s not easy to maintain and optimize a business blog because you not only need to produce high-quality content that your audience cares about consistently, you also have to optimize your blog content to be found by search engines. To some extent, your business blog has to balance between selling your products and entertaining your readers. 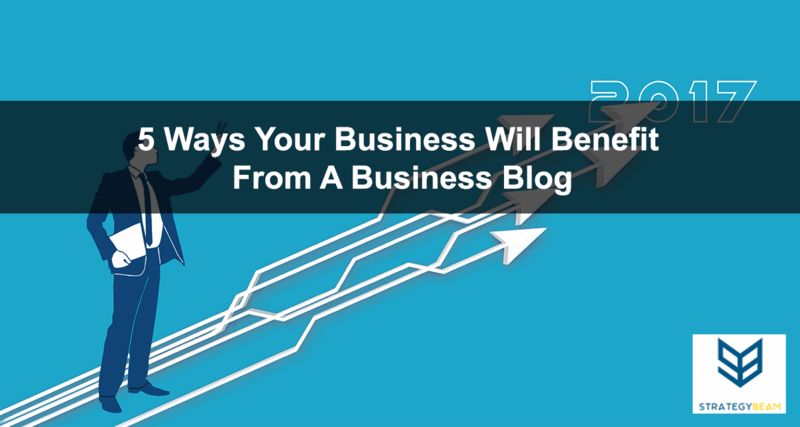 A business blog will help you reach your goals as you establish your authority across your industry. Hiring a professional blog writer is a great way to focus on your business while also getting relevant content to attract your customers. Let me know if you are ready to bring your business to the next level with my professional blog writing services today!